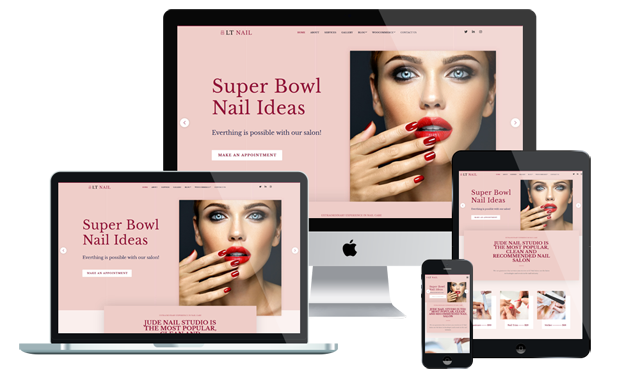 LT Nail is a good-looking Joomla Salon Template which is intended for hair salon, nail salon or beauty salon website design. Joomla Salon Template is the perfect solution to all of your needs, offering you the opportunity to spread the word about your services, increase your client base and create a web presence that is truly impressive. The template framework comes with Page Builder for layout, Shortcode for present content easily, Support Font Awesome, Compress files and so on. Additionally, you benefit from cross-browser compatibility and other features that make your website easy to use for you and your clients. This means you can change every aspect of the theme, creating a new design with powerful features and great SEO tools. In addition, it also supports 4 color styles and working with strong framework, unlimited module positions and easy to drag-drop layout content. Our templates are coding compliant, and come with contact form, Google Map, and other functionality built in for your convenience. Find more customers for your salon online with our Joomla Salon Template, and start your cheaper website project now!